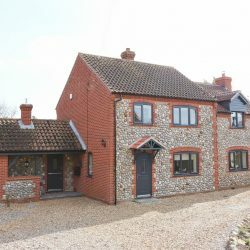 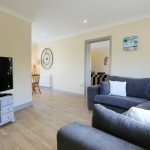 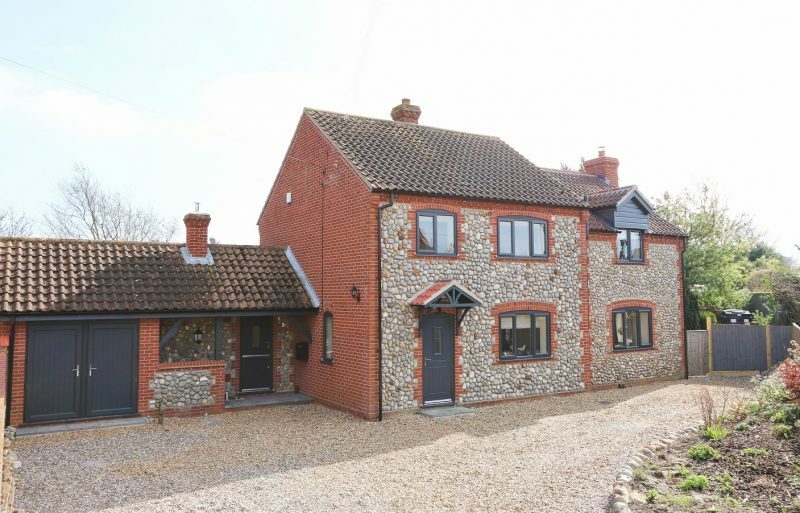 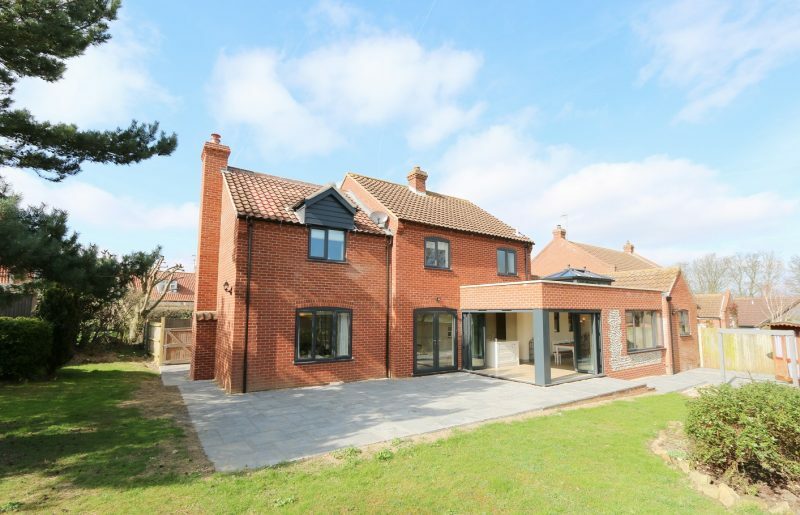 Saltkettle is a superb, recently extended and extensively renovated, practical family property within a two minute stroll of Blakeney Quay and all of the amenities this sought after, coastal, North Norfolk village offers. 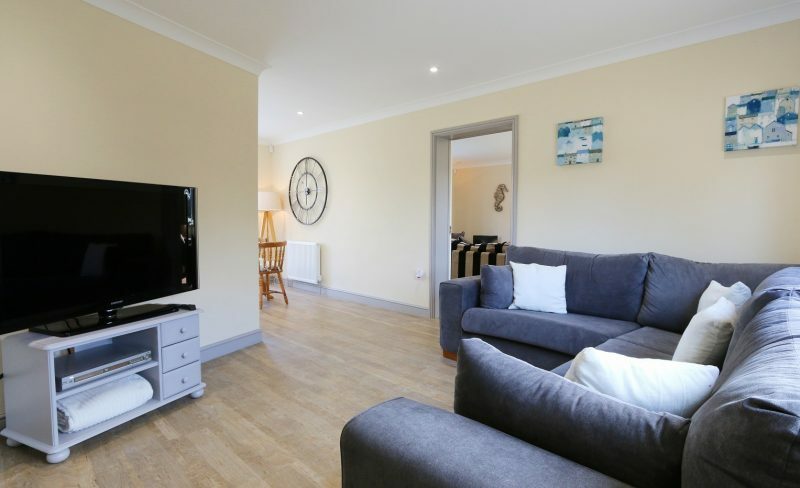 Beautiful open plan spaces, good sized gardens and plenty of parking make Saltkettle the ideal venue for family holidays or friends gathering together for a weekend on the coast. 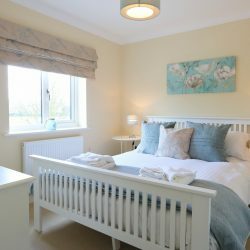 Four good sized bedrooms on the first floor with two bathrooms plus a zip and link bedroom with en-suite wet room on the ground floor mean adaptable accommodation for all ages. 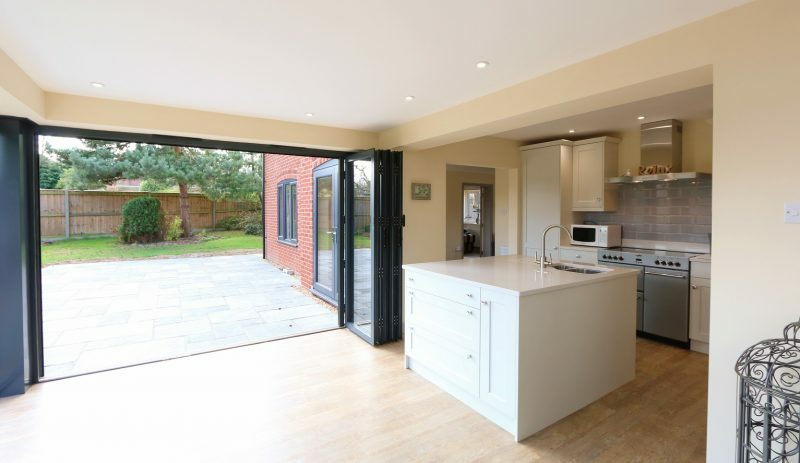 The huge open plan living area, with kitchen and dining zones incorporated, works incredibly well for easy family living and the separate living room with log burner provides a more formal area to relax in. 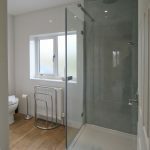 The owners of this newly renovated property have created a very light airy feel throughout the house. 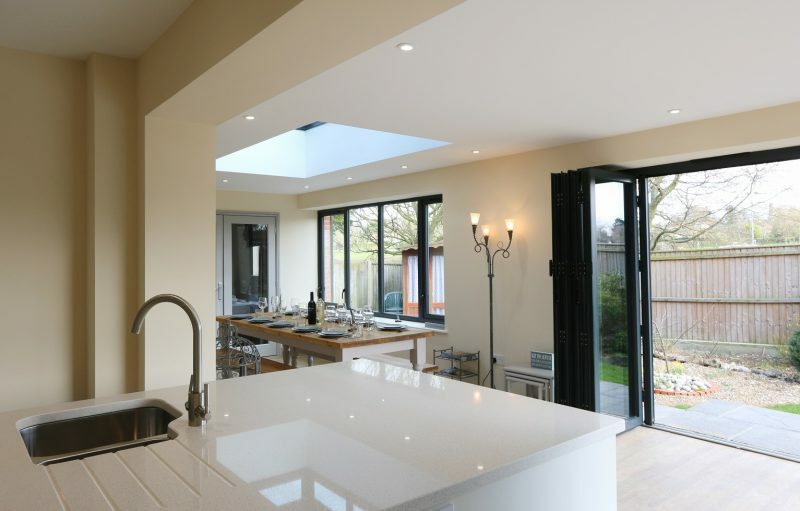 The main open plan living area incorporating the custom fitted kitchen, eye-catching dining area and TV room is a truly stunning space. 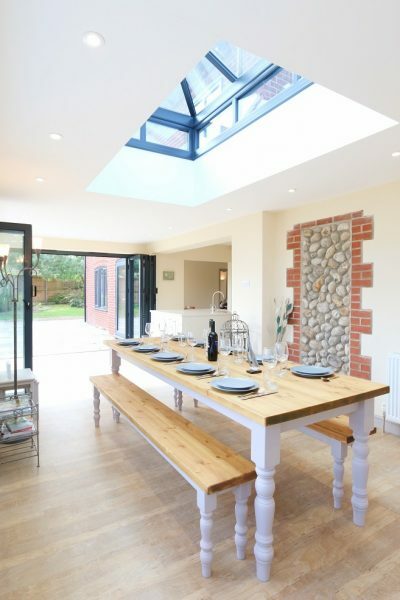 The handmade kitchen is superbly fitted. 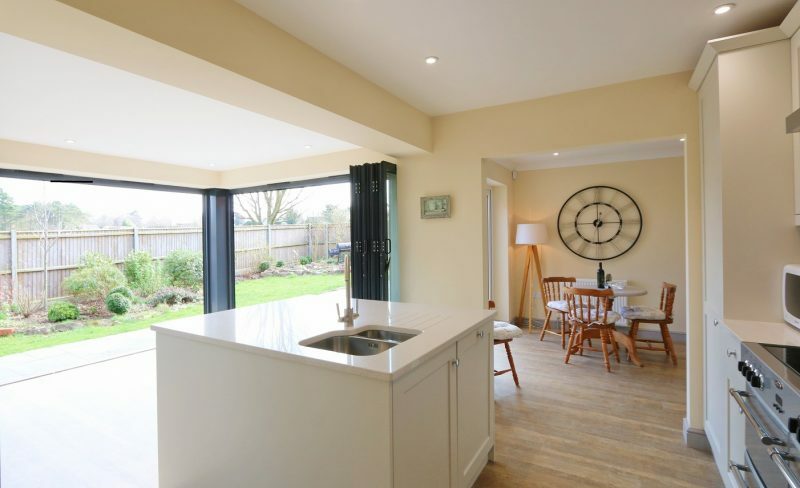 Intergrated within the pale painted units and under a luxurious Quartz worktop are a Belling range cooker with induction hob, fridge with freezer below and dishwasher. 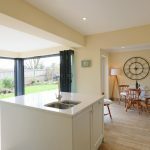 There are all the usual appliances; microwave, toaster, kettle etc and the Quartz topped island unit holds a good selection of crockery and cutlery. 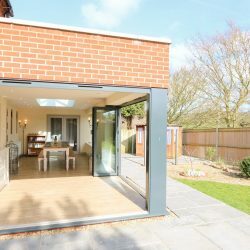 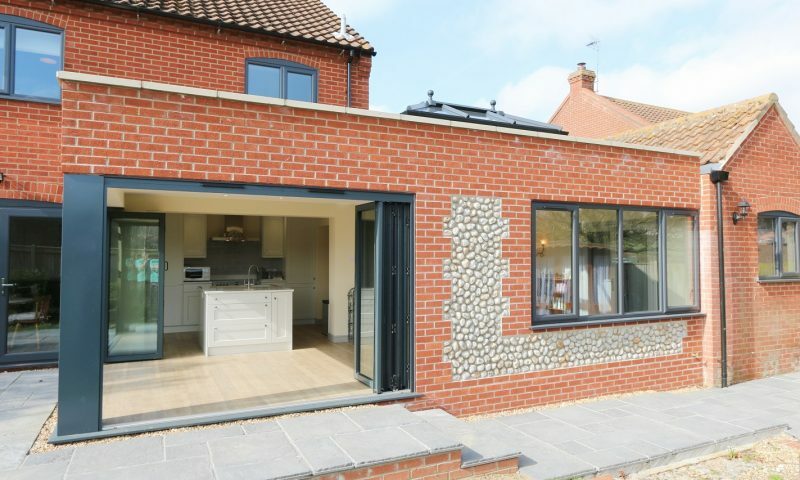 Off the kitchen stunning duel aspect bi-fold doors, which when open wide on summer days really make the internal space a part of the garden – bringing the outside in, link to the dining room. 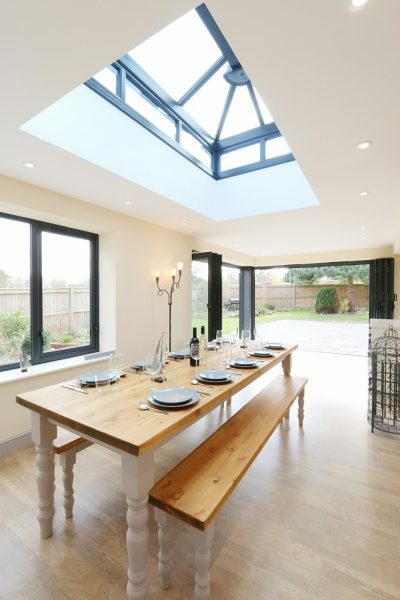 Guests can enjoy this lovely inside/outside ambiance at meal times at the huge dining table which comfortably seat 12. 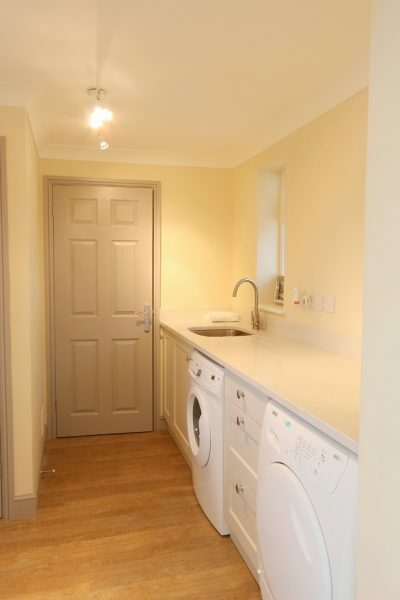 Just off the kitchen is a useful utility room with washer and drier, another sink and a downstairs WC. 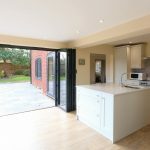 A breakfast table in front of large French door link the kitchen to the TV room where a large L shaped sofa sits in-front of a huge LED SMART TV and DVD player. 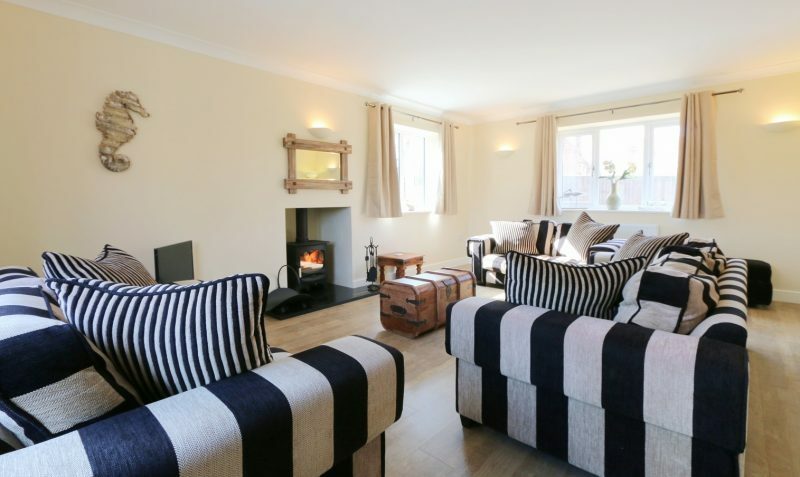 A lovely comfy space to hunker down in front of you favourite movies. 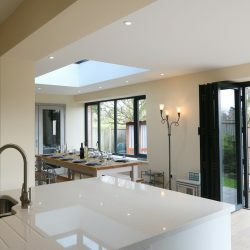 It goes without saying that, with all of the floor to ceiling glazing, this area is wonderfully light, bright and airy. 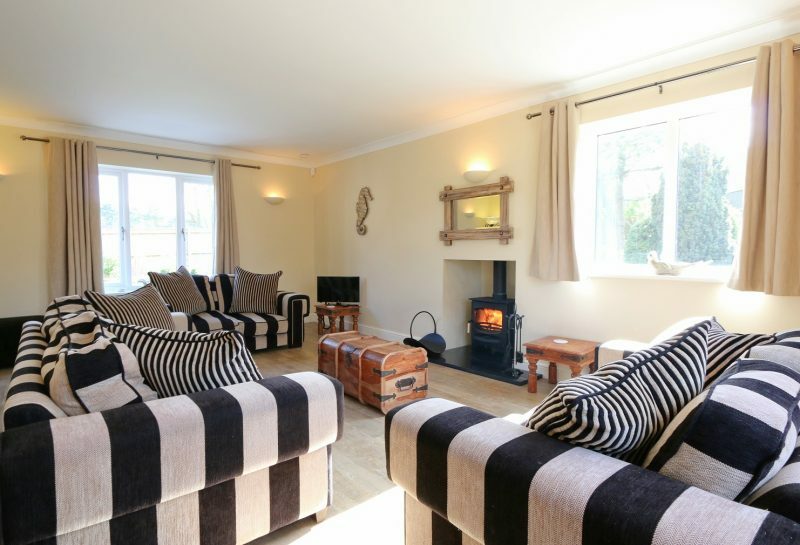 The more formal sitting room with its superb Charnwood log burner is a lovely space in which to sit, relax and unwind. 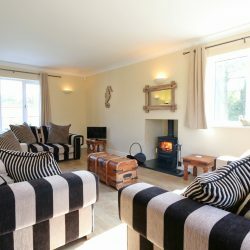 The house has full oil central heating throughout plus the wood burning stove making it ideal for large gatherings in all seasons. 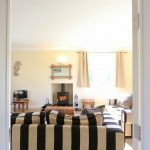 The ground floor bedroom is a good size and looks out on to the garden. 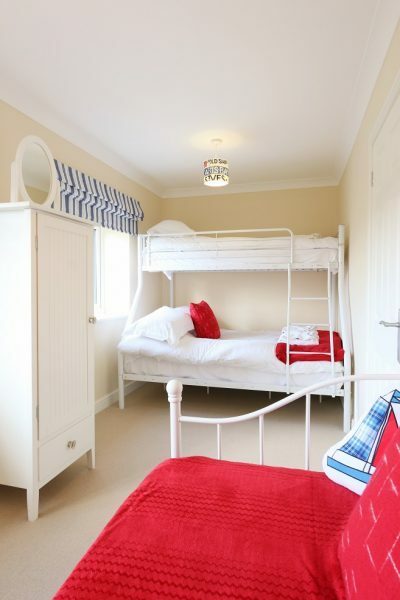 It has a comfortable zip and link bed which can be made up as either twins or a kingsize double on request. 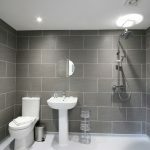 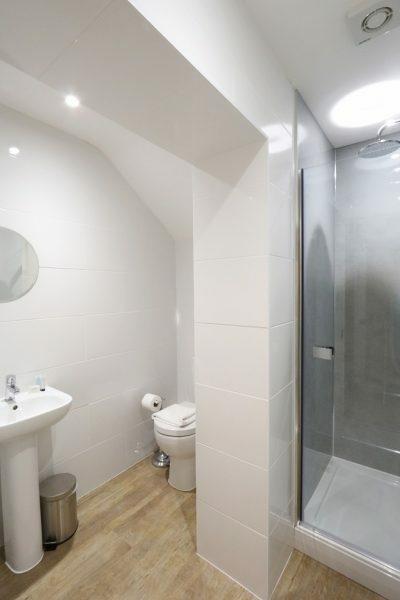 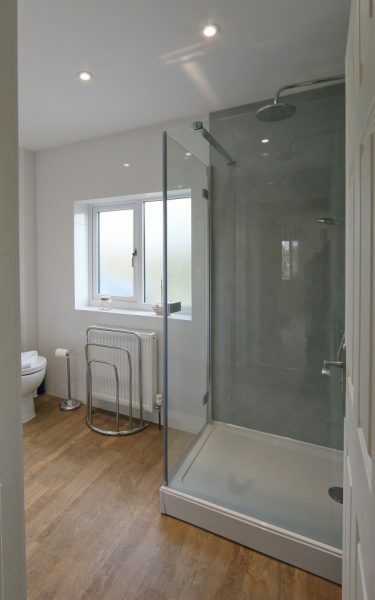 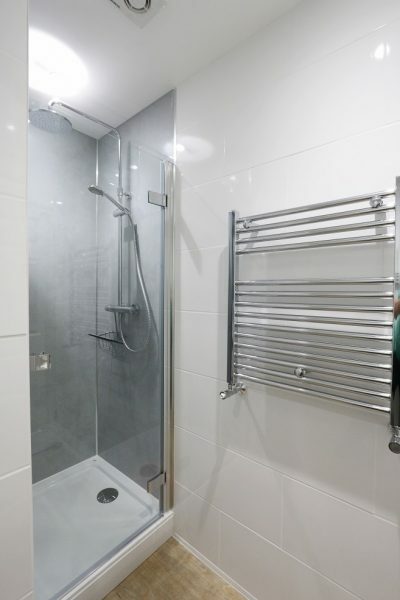 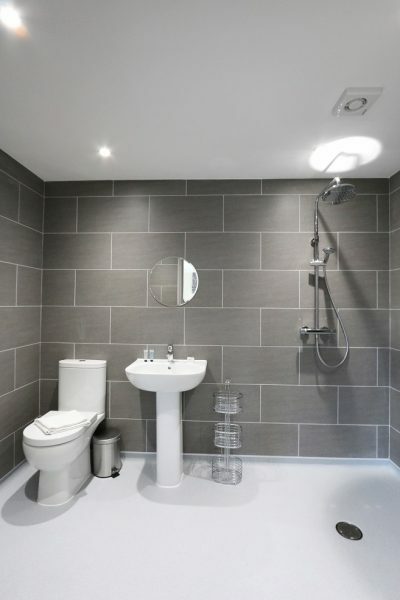 The large en-suite wet room has a fantastic drencher shower in it as well as wc and washbasin. 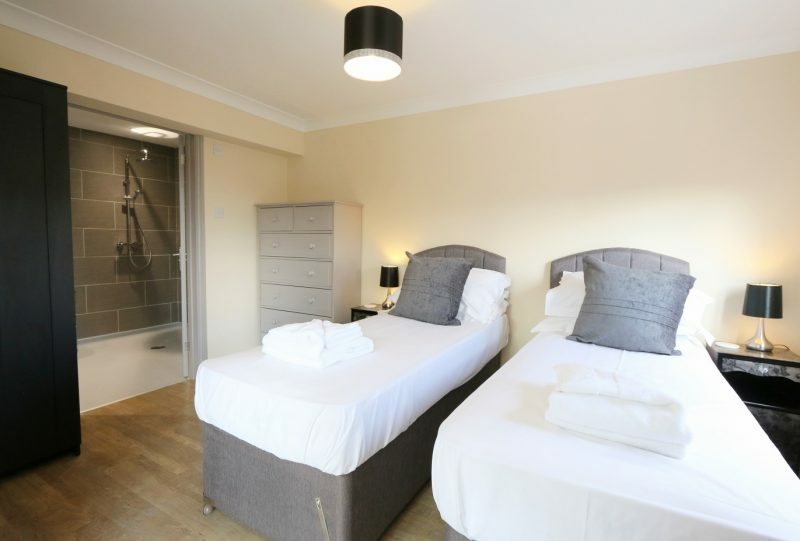 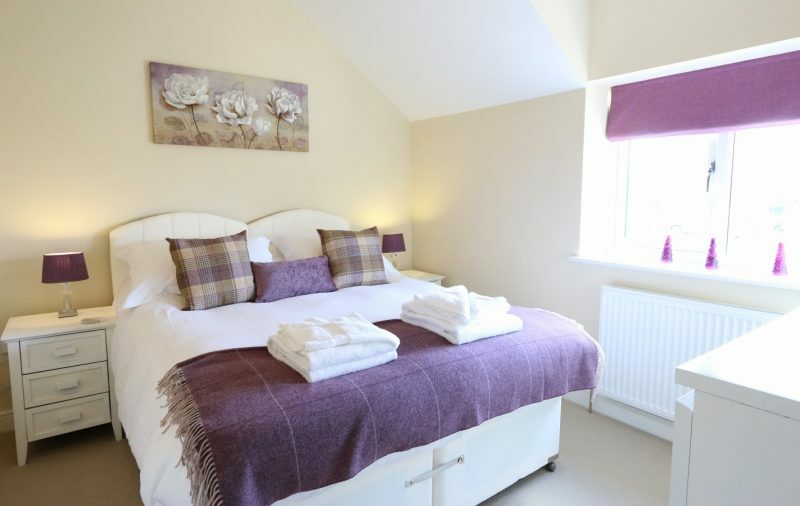 On the first floor are two further zip and link bedrooms, a stylish kingsized room and a ‘dorm’ room which can sleep up to three if you select the extra bed option on booking. 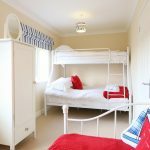 This room has a TV in it so doubles up as a playroom where children can enjoy themselves without disturbing the adults in the group. 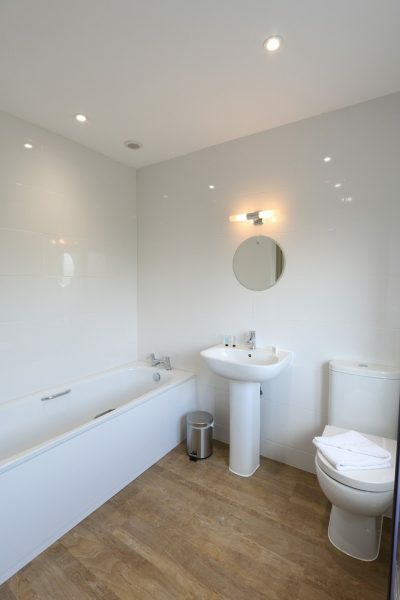 There are two bathrooms on the first floor both have fantastic walk in showers with drencher shower heads and the larger bathroom also houses a large bath tub. 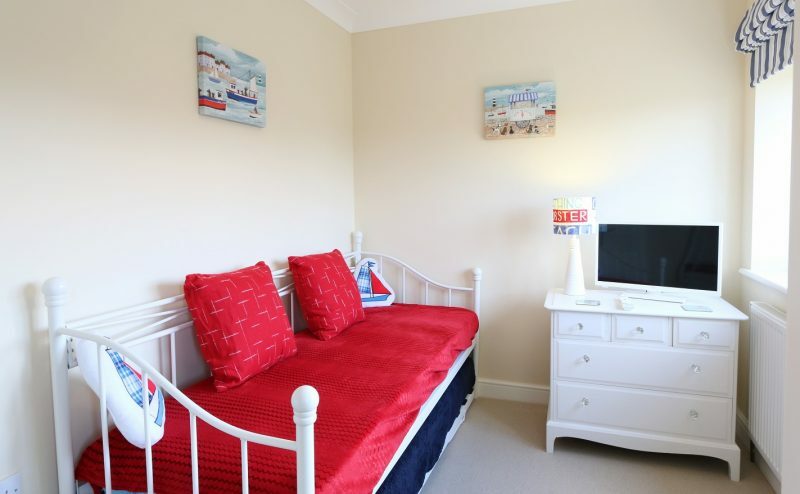 (If you have a preferred bed layout for the zip and link beds please give us at least two weeks’ notice). 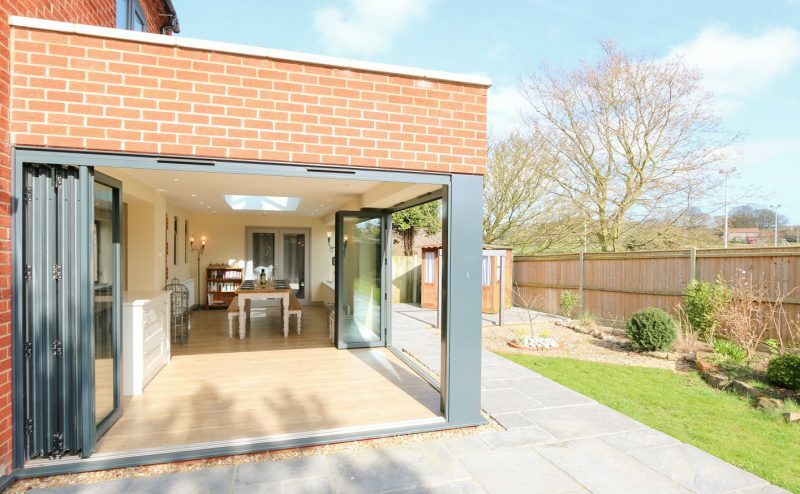 Saltkettle is set within good sized gardens. 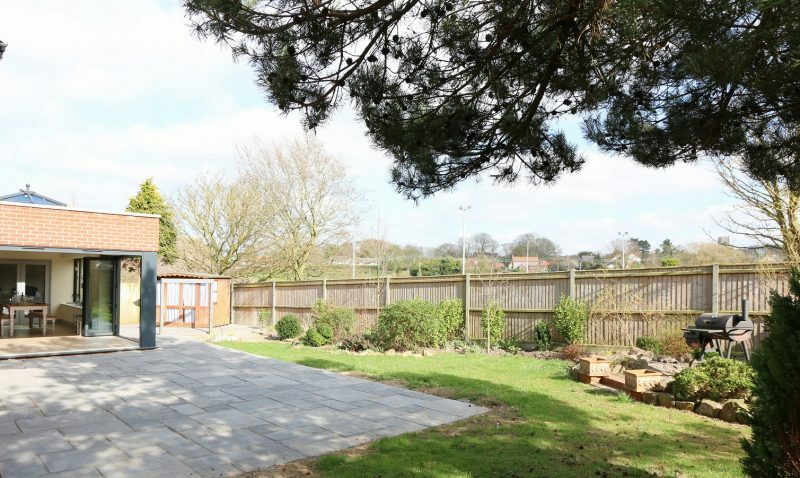 To the front is the large gravelled parking area surrounded by pretty raised beds. 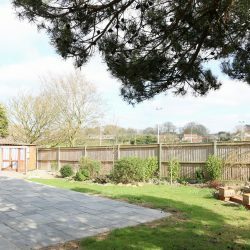 To the rear and side of the house is a large lawned area with mature shrubberies and trees; plenty of room for the children to safely play as the gardens are fully enclosed. 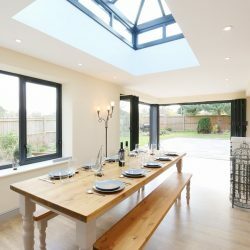 A paved south facing terrace has stylish outside dining furniture and makes for a wonderful space to enjoy BBQ’s on warm summer evenings. 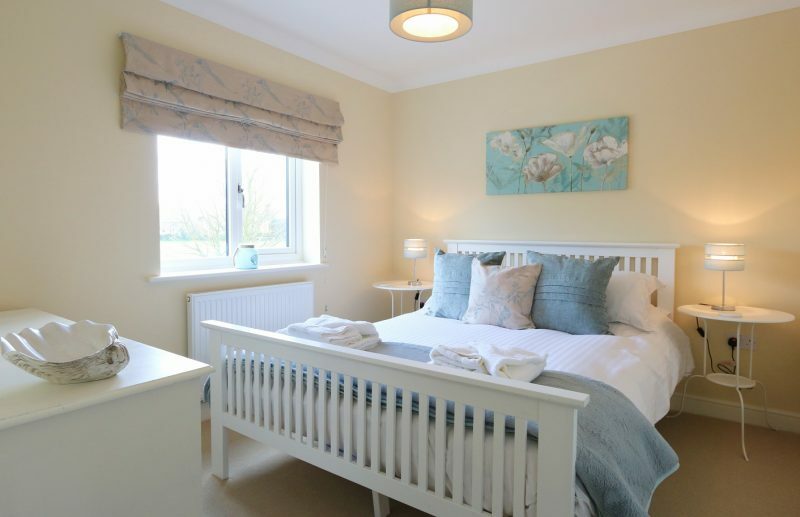 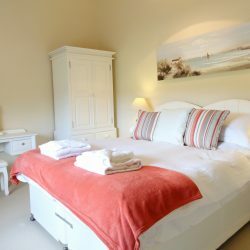 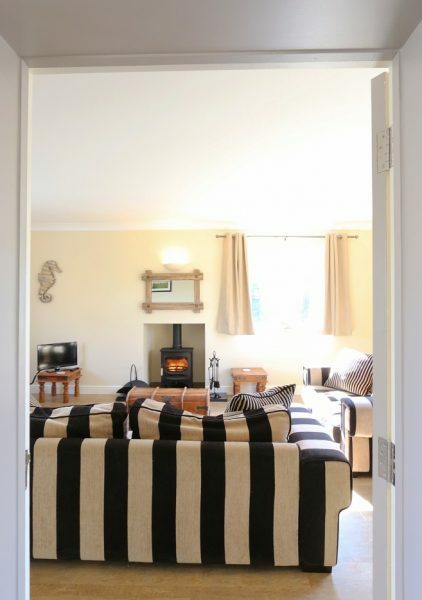 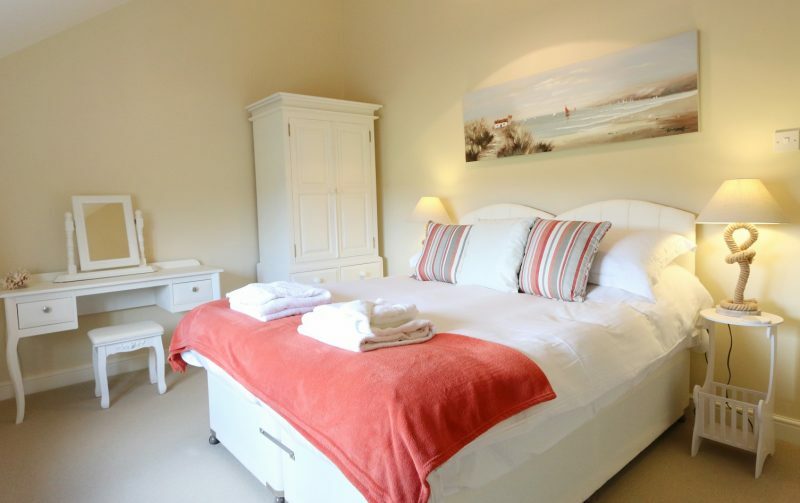 We know our guests are going to really enjoy their stays at Saltkettle, the easy going atmosphere the owners have given this lovely coastal property will mean that guests will be very reluctant to hand the keys back in at the end of their holiday!